PC Clinic – Delivering effective repairs to iPads, iPhones and all other major brands of gadget and computers. Many thanks Peter for the work you did on what I now know was a rubbish bit of equipment--the computer. The new machine is just marvellous, I can't believe how different it is compared to the old one. I appreciate very much your work that made it possible, I will keep your card in a prominent spot by the screen. 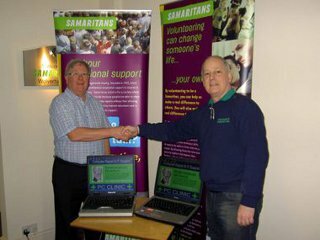 PC CLINIC has been established for over 10 years in Cheltenham as a support to Mitech Communications. PC CLINIC Midlands is building on that established reputation of being the best computer repair centre in Cheltenham to become the premier computer repair centre in Wolverhampton. The owner Peter Butler has spent many years repairing and restoring computers and having spent time with David Fu in Cheltenham is pleased to offer an unrivalled and fully supported computer repair in Wolverhampton from a high quality lab based in Codsall. We welcome drop in customers and are happy to discuss your Wolverhampton computer repair needs over the phone. 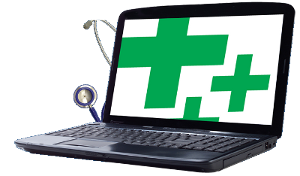 The main function of newly established PC Clinic Midlands is to extend the life of your computer at affordable rates. With the effects of the credit crunch still being felt what better time to launch an exciting new business venture based on solid principles of re-use, repair and recycle. 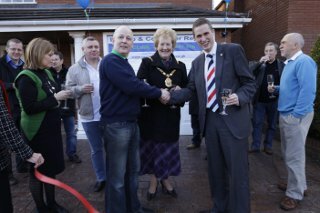 The owner of PC Clinic Midlands, Peter Butler, has for many years had a keen interest in the repair and recycling of computer technology. The new company based in Codsall, aims to fully utilise existing technology to save you money by not having to replace your current PC until it is absolutely necessary. He urges people to consider how they might be able to get the most out of their current computers by having them refreshed, cleaned and working more quickly and efficiently. Peter has brought to the new company a wealth of experience and support gained from a long established company of the same name in Cheltenham. Having spent time with the founder, David Fu, he has learned at the hands of a master of technology, who has been setting up and managing corporate networks and providing high quality computer repair in the Cotswold area for many years. Peter maintains regular contact with the owner of PC Clinic Cheltenham, to ensure that the high standards established in that business are maintained in this new development. A comprehensive repair and upgrade service for all PCs and laptop computers including Apple Macs. Remote Support if you can still connect to the Internet. ABI approved insurance reports on broken or damaged PCs & laptops. Data recovery – lost something important, let us recover it for you. Certificates of destruction for old computer drives – protect yourself from identity theft with assured data destruction of old computers. Increasing local business in your community through a social media package which includes a planning and training service to effectively link you to your community via Facebook, Twitter, Google+ and other top social sites. High quality work at reasonable rates with fast turnaround. Friendly and approachable with a 10 minute free consultation – if it can be repaired in 10 minutes (excluding parts) there's no charge. If you have had a new computer for Christmas and you're struggling to move all of the data from your old one or just want some help setting up programmes, let us help. If the computer's running slowly or responding strangely let us check it and restore it to health. Peter has set up a specialist lab in his premises in Codsall and welcomes drop-in customers and pre-arranged callers at his facility. Feel free to contact Peter or to drop-in to discuss whatever computer issues and needs you have. We use, re-use and recycle old tech to minimise what goes to landfill. We have specialist partners who can recycle over 80% of the parts of most computers and gadgets. Please don't just throw them away bring them to us. What we can't re-use we will pass along to our recycling specialists.